Infinite Advantages ! Infinite Possibilities ! 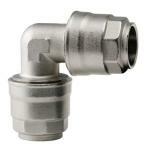 Imagine a solid metal piping system that offers superior strength within a light weight design. A system that’s easy to install, yet ensures high performance & versatility. This is the creation of INIFINITY, the first all metal, quick connect, aluminium compressed air piping system at an affordable price. INFINITY offers the performance of heavy, traditional steel piping, at the cost of systems using plastic. 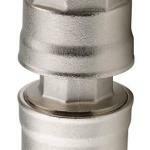 Its revolutionary lock-and-seal design ensures a totally safe, leak free system for all compressed air applications. With six different piping sizes, INFINITY is a sure fit for virtually any industrial and OEM application, including aerospace, automotive, chemical processing, electronics, engineering, food & beverage, packaging, pharmaceuticals and textiles. 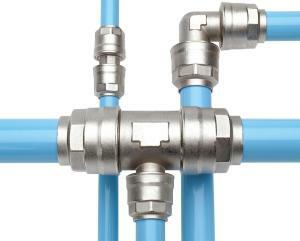 The INFINITY piping system has a colour coded design and meets the technical requirements of AS4041-Aluminium tube. 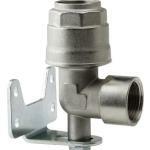 INFINITY piping is a high performance aluminium piping system that is easy to install and simple to extend or modify. 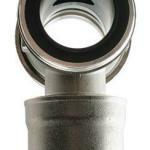 The non-corrosive extruded aluminium provides sructual strength and contaminate free compressed air in a leak free piping system. The smooth bore of INFINITY pipe prevents high pressure losses and allows for higher flow rates and performance than that of plastic systems. 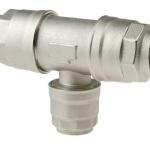 The zero condensate swan neck fitting is unique to the INFINITY piping range and further ensures water free quality air supply. No air leakage ensures minimum running costs. CALL US FOR A FREE ON SITE QUOTE TODAY! Click here for the full product brochure.